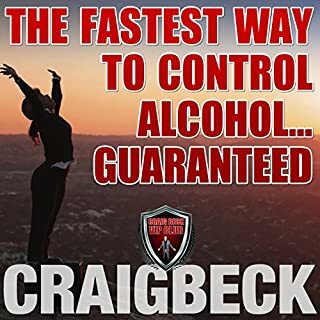 This book is designed for people who are sick and tired of feeling "sick and tired" and want to get back in control of their drinking. Imagine if today you could go back to a time when you could "take or leave" a drink and tomorrow you wake up with no hangover, no regrets and feeling full of energy and vitality. Picture your bank account with thousands of extra dollars in it and imagine what life would be like if you had a limitless abundance of quality time with your family and loved ones? I would recommend this book to anyone who has struggled to control their use of alcohol. Craig Beck offers a comprehensive long-term solution and some powerful tools to help create a brighter future. It was particularly interesting to learn how the brain is affected by alcohol and the process by which we can fall into the "habit" of drinking "too much" too often. This book has definitely put me on the road to a new freedom, to a life where I wake up refreshed and happy, and peace, joy and love are no longer distant dreams.